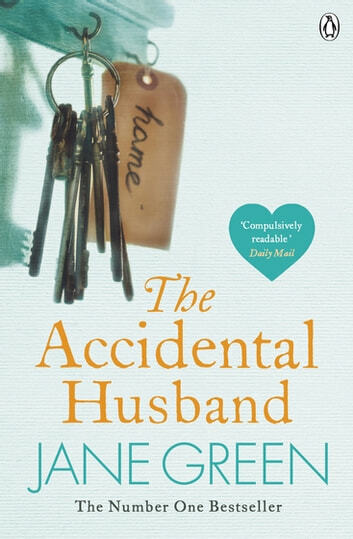 Jane Green's The Accidental Husband is a powerful story about two women connected by an earth-shattering secret. Maggie and Sylvie are perfect strangers: two very different women, living very different lives on opposite coasts. But they share more in common than they could ever imagine. Both women have beautiful children on the verge of flying the nest, the home they worked hard to build and always longed for, and a handsome and devoted husband they can't believe belongs to them. Both women think their lives are seamlessly secure, but they couldn't be more wrong . . .
For each is about to discover a secret that will shake their world to the very core, throwing into doubt everything they ever thought they knew, and bringing Maggie and Sylvie together in the most unexpected way. Jane Green's internationally best-selling novels, including The Other Woman, Jemima J., Babyville, Girl Friday (published as Dune Road in the USA), Life Swap (Swapping Lives), Spellbound (To Have and to Hold), The Beach House, Second Chance, Straight Talking, Mr. Maybe, Bookends, The Love Verb and The Patchwork Marriage (Another Piece of My Heart) are incredibly moving and extremely relatable. The Accidental Husband is Jane's fourteenth novel. She lives in Connecticut with her husband and their blended family of six children. I read the synopsis of the book a while back, so when I started reading this, I did not put two and two together straigt away. The book was written in such a way, that it kept surprising me. The two families were so different but yet so real. It deals with true emotions and things that happens every day.....except the "big" event in the story. The main characters develop beautifully as the story unfolds and I loved how eveything came full circle towards the end. I really enjoyed this book and will recommend it if you are looking for a easy, heart-felt family story. Looking forward to try some of her other books. This is the first book I read by this author and it was fantastic! Just an interesting, real at at times made me have a tear in my eye. Loved it, will read more of Jane greens books.